The programme reflects the intercultural ties between Germany and Australia . It contains three compositions by German composers of obvious significance. The work “Capriccio” by Hans Werner Henze had been written on the occasion of the 70th birthday of swiss Cellist and Conductor Paul Sacher in 1976, and uses in its melodical structure key-letters of Sachers name transposed into pitches. The work “Amour” by Karlheinz Stockhausen is originally written for clarinet, but from the beginning Stockhausen conceived it – similar like his famous work “In Friendship”- with the possibility to be played by other melody – instruments. As such a version for flute was arranged straight after the clarinet version. 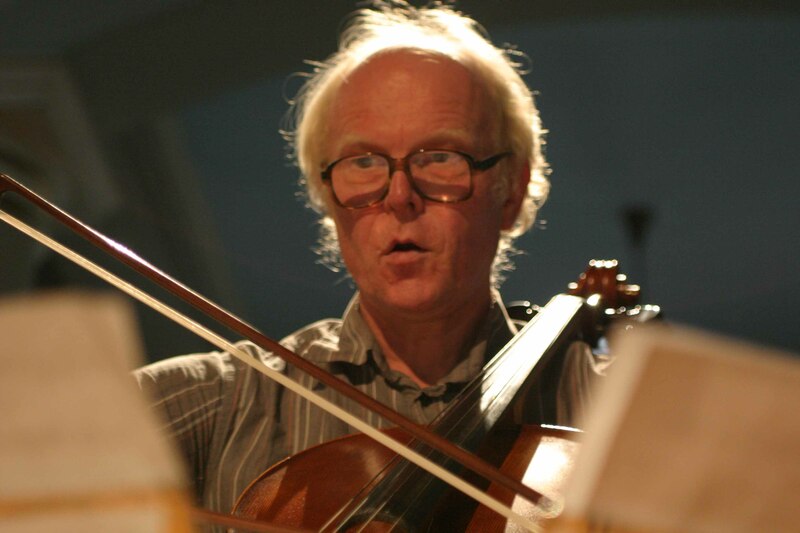 Gauwerky had discussed a version for Violoncello with Stockhausen already during Stockhausens lifetime , however the final version for Violoncello was finished only in 2014 in cooperation with the Stockhausen- edition, and premiered in June of this year. Paul Hindemith’s Sonata for Violoncello solo is an early milestone in the development of Cello-Playing as it loosens from the romantic idiom of the instrument (“soundbeauty is a minor matter”). Both Australian composers of the programme have a german background: Thomas Reiner, born in Germany in 1959 settled in Australia in 1979. Being firmly settled in the country , he still though refers to his german background. As such, for example, he studied composition not only with Australian composers like Keith Humble and Berry Conyngham, but also in Germany with Hans Werner Henze. He is now teaching composition at Monash University. Felix Werder , born in 1922 escaped Nazi-Germany in 1940 and settled in Melbourne as well, having ever since an enormous influence on the Australian musical life. The programme also reflects my personal relation to Australia, a country in which I spent several years of my life, which of course influenced my general and artistic development.